This has nothing to do with bow ties, but it’s such a fantastic idea I just had to share. 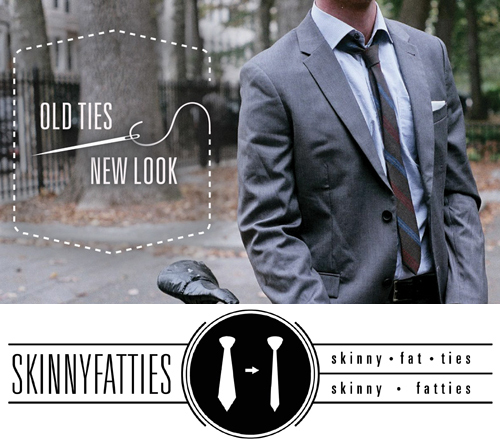 SKINNYFATTIES is a new Brooklyn-based tailoring service which takes your outdated fat ties and re-sews them into trendier, skinny ties. 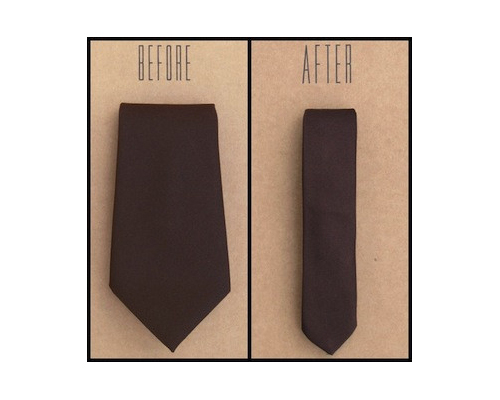 With most new neckties costing anywhere from $40-$90, SKINNYFATTIES offers this service for only $30. Considering most second-hand stores charge about $1 for an old tie, this is the perfect solution after finding those Goodwill gems you can’t quite rock because they’re just too obnoxiously wide. Or if you’re just tight on cash and want a slick looking tie. After mailing in your cravat, SKINNYFATTIES will reshape and restitch your tie, adjust the loop labels, iron them, roll them into metal tins to prevent creasing and reship them FREE within a week of receiving said tie. To sweeten the deal even further, for each tie purchased and every tie tailored, a $1 donation is made to Career Gear, a 501(c)3 nonprofit organization that helps men transition into the workforce.